Mesaritis and partner Patrick Finnessy are active on academic gay issues. 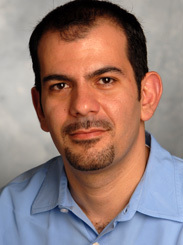 he was born in Nicosia, Cyprus, and is an MBA Student at Roosevelt University. He received his BS, Lausanne Hotel Business School, Lausanne, Switzerland.